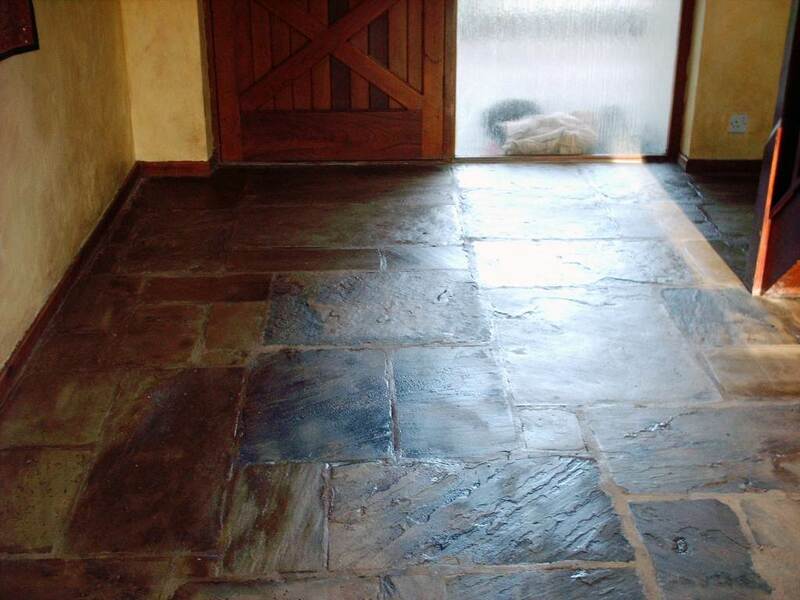 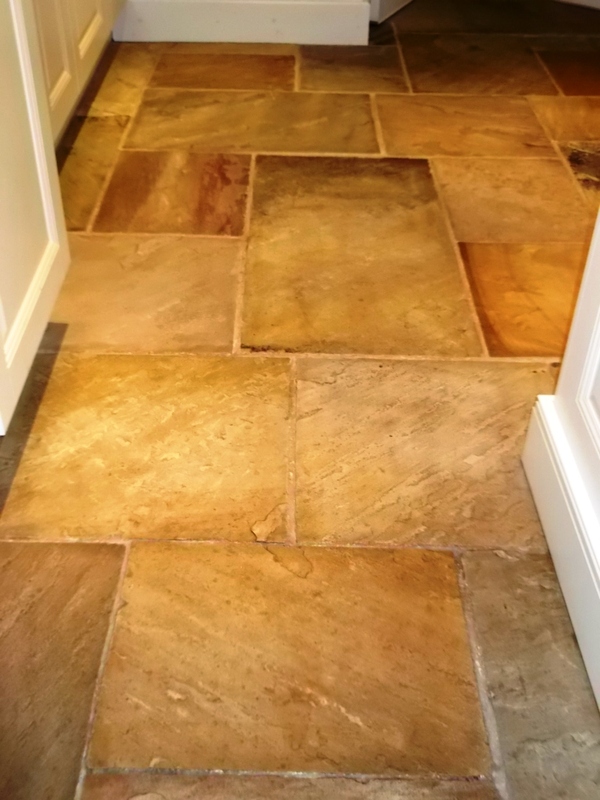 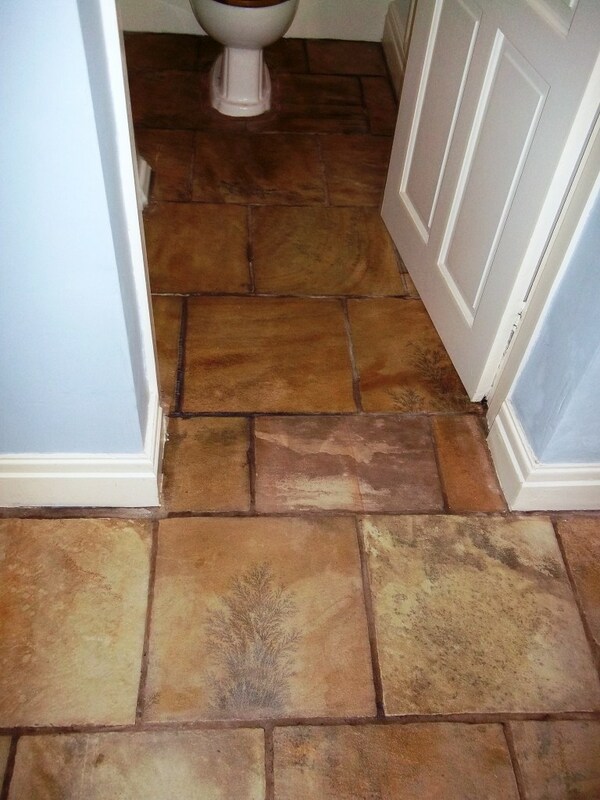 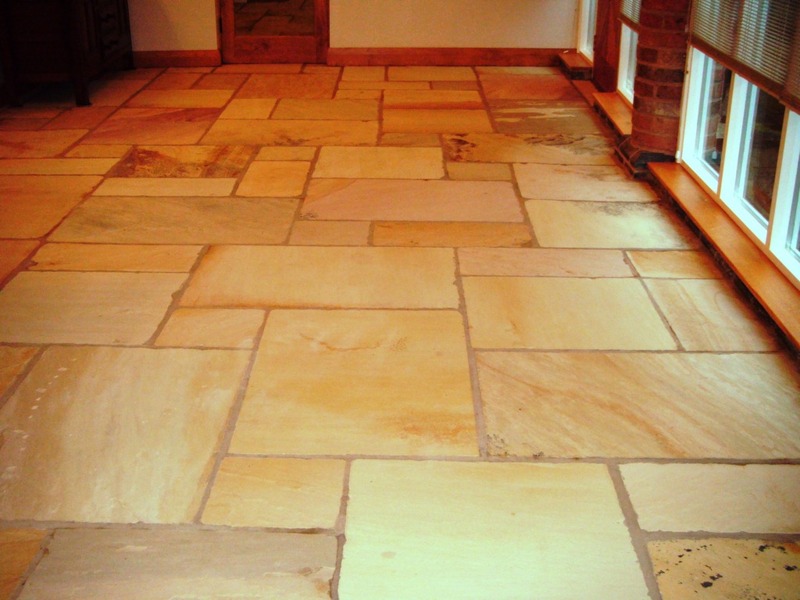 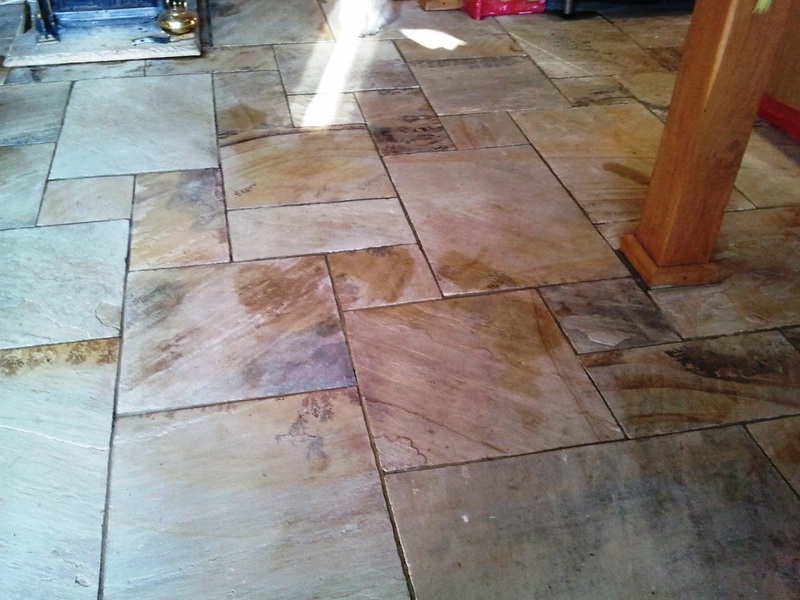 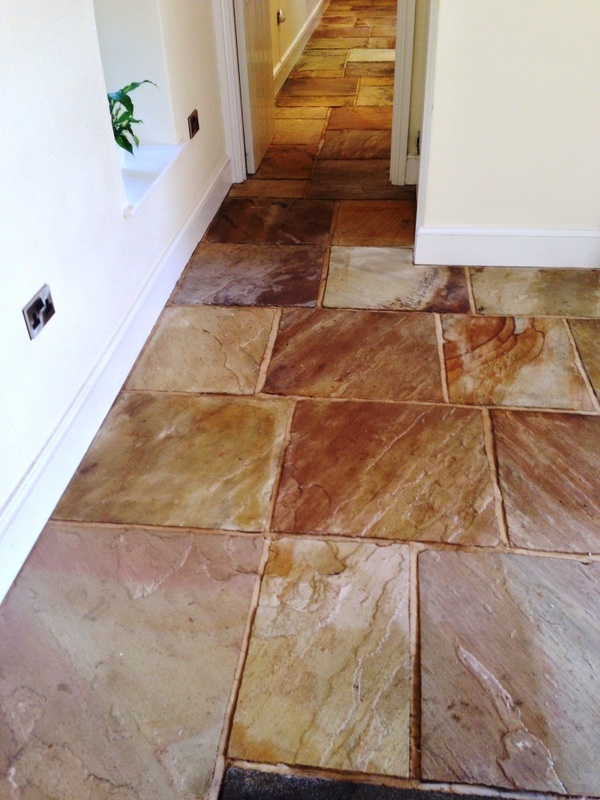 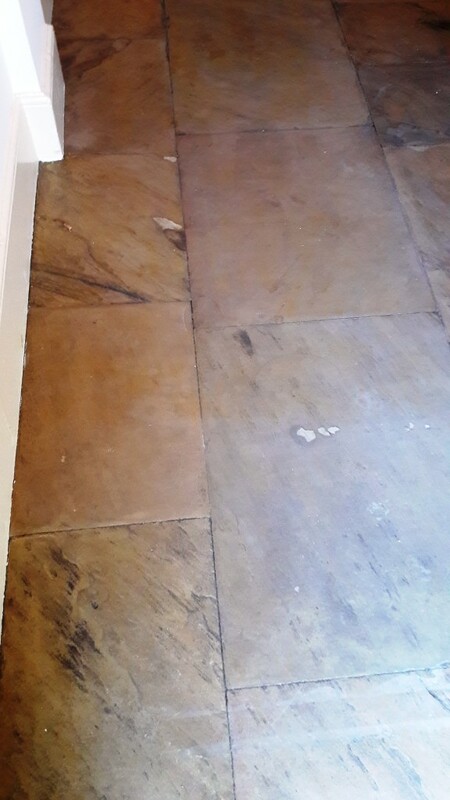 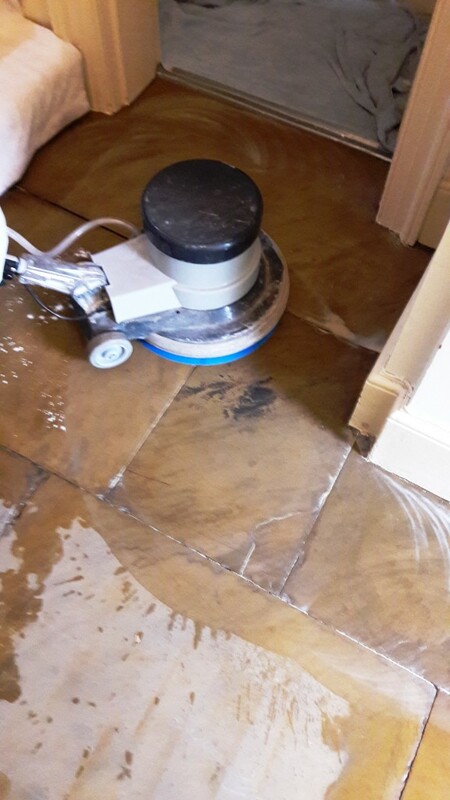 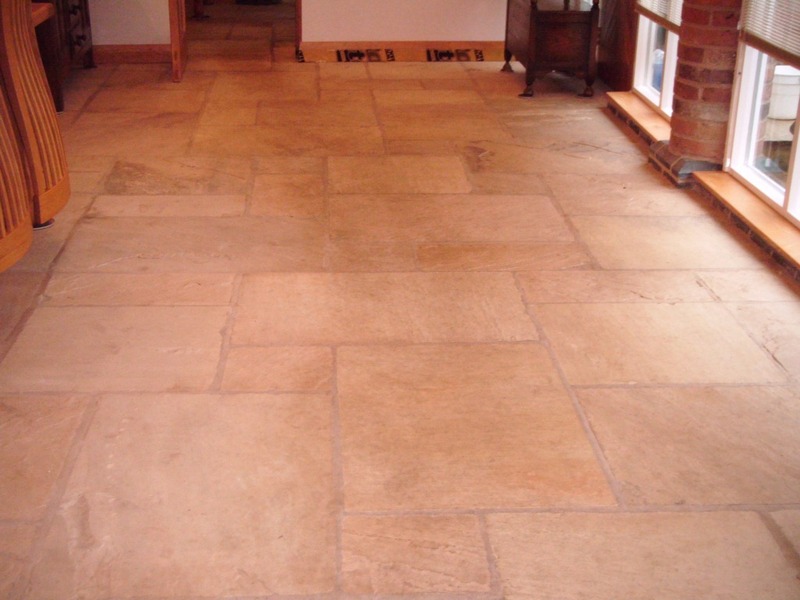 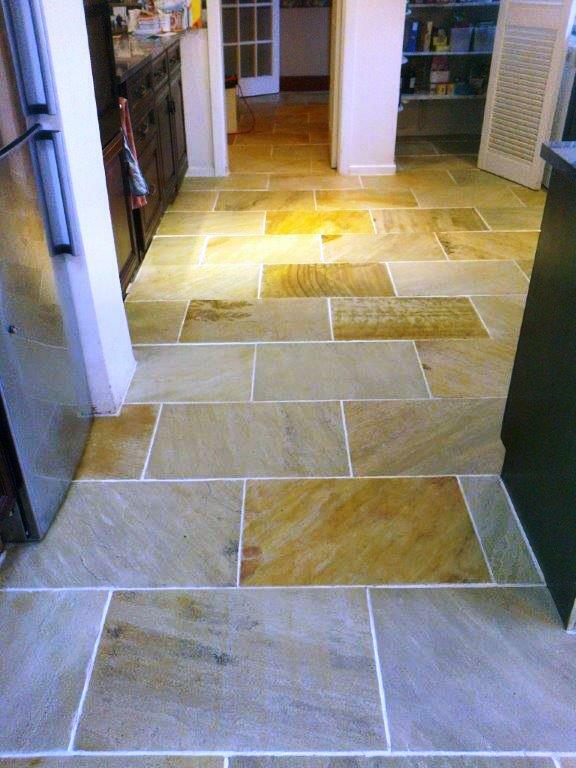 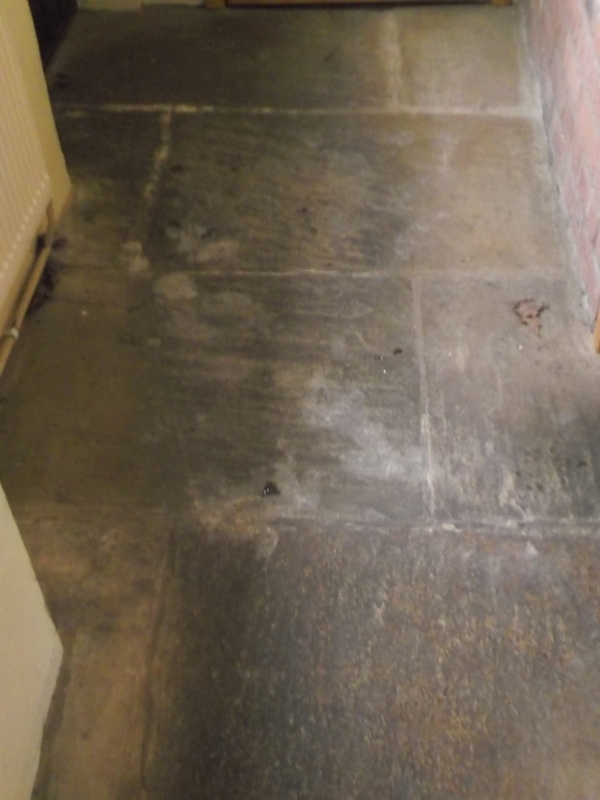 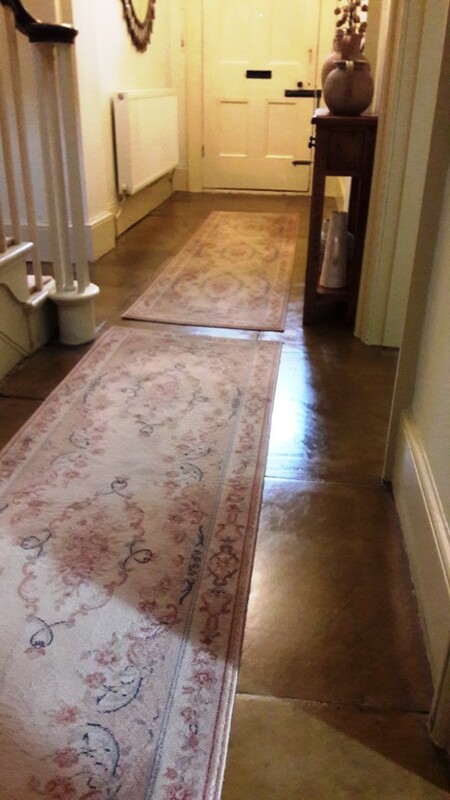 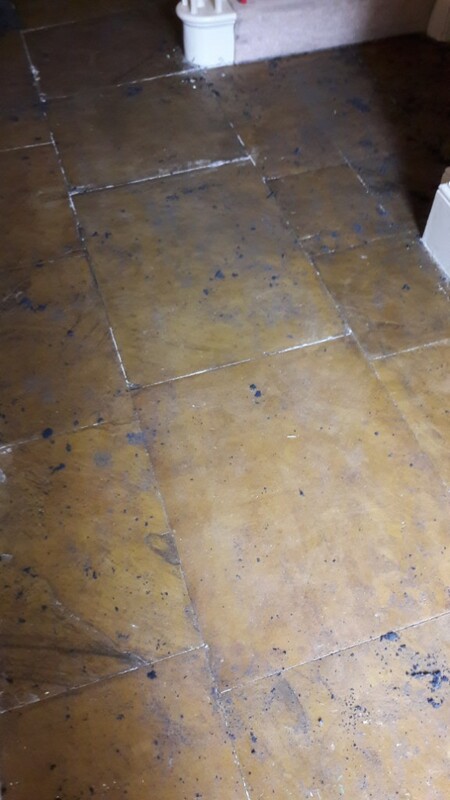 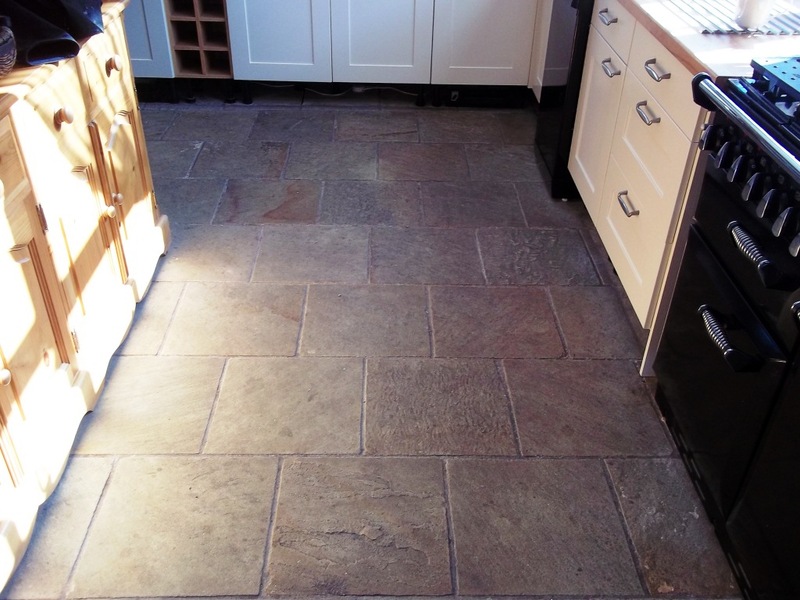 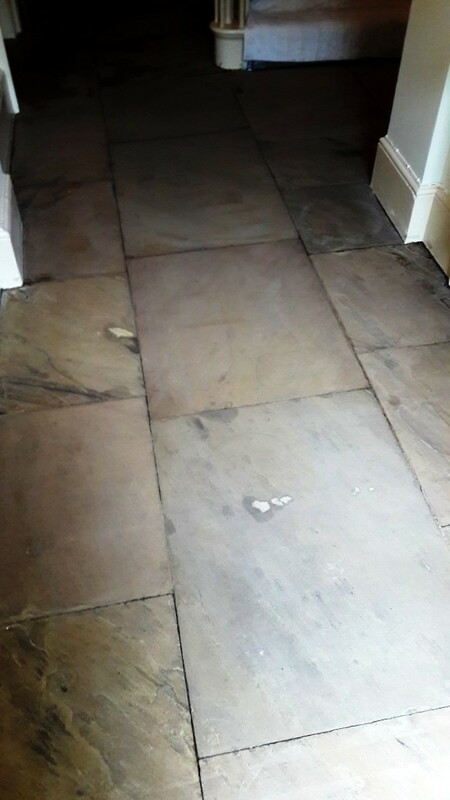 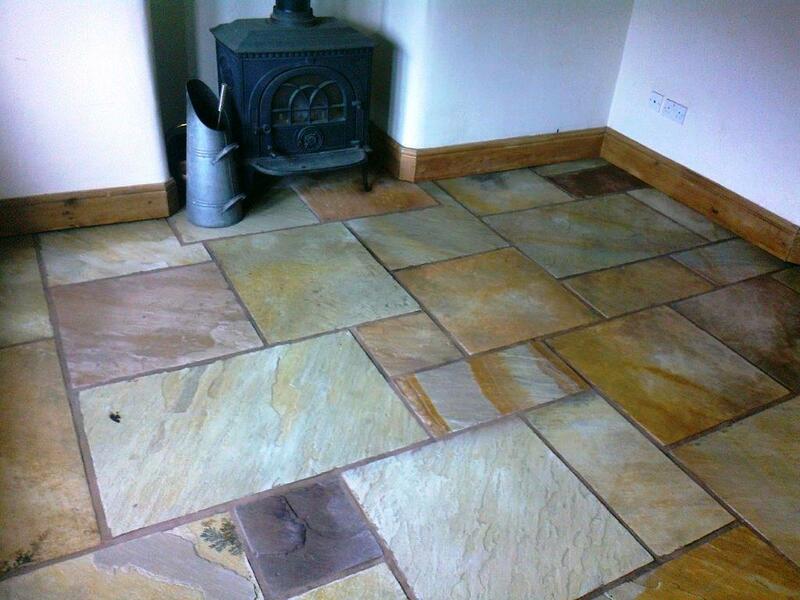 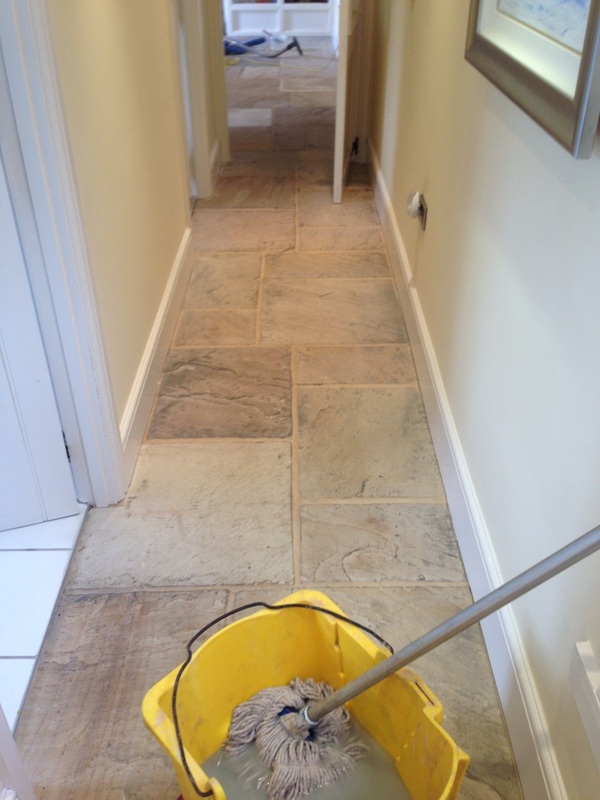 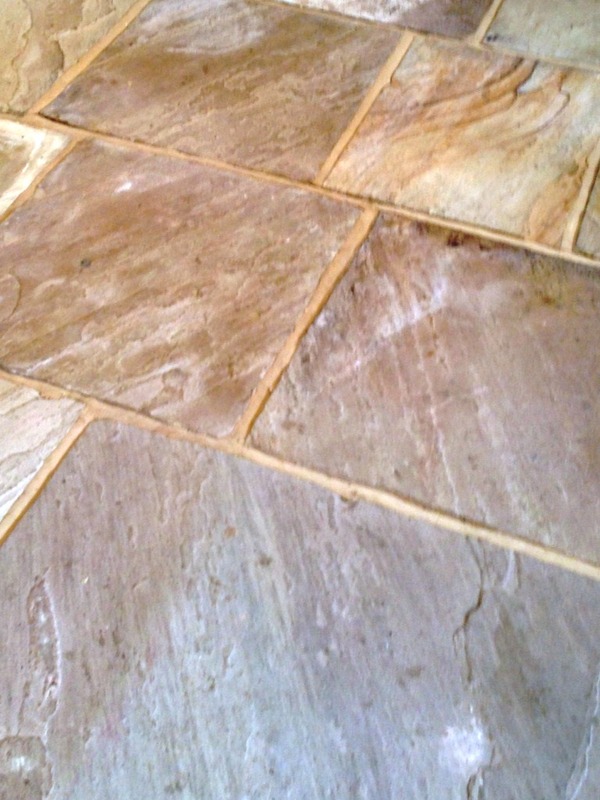 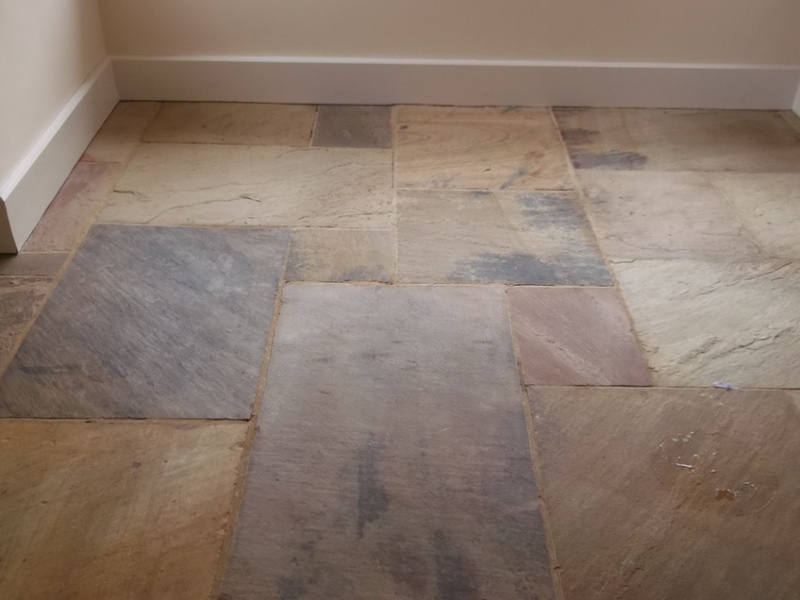 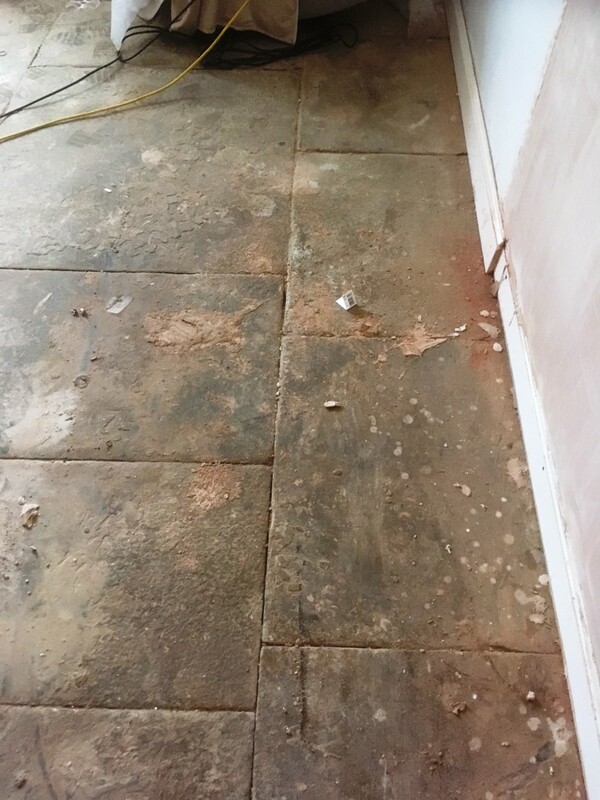 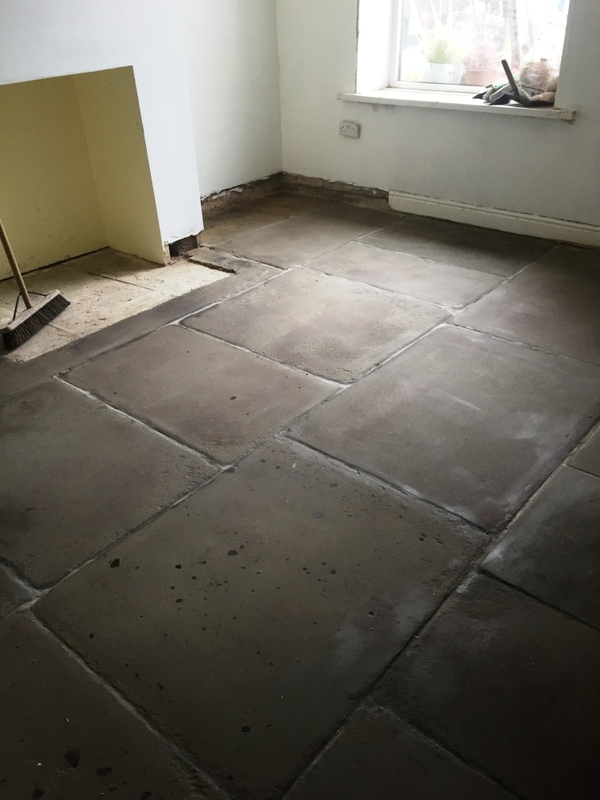 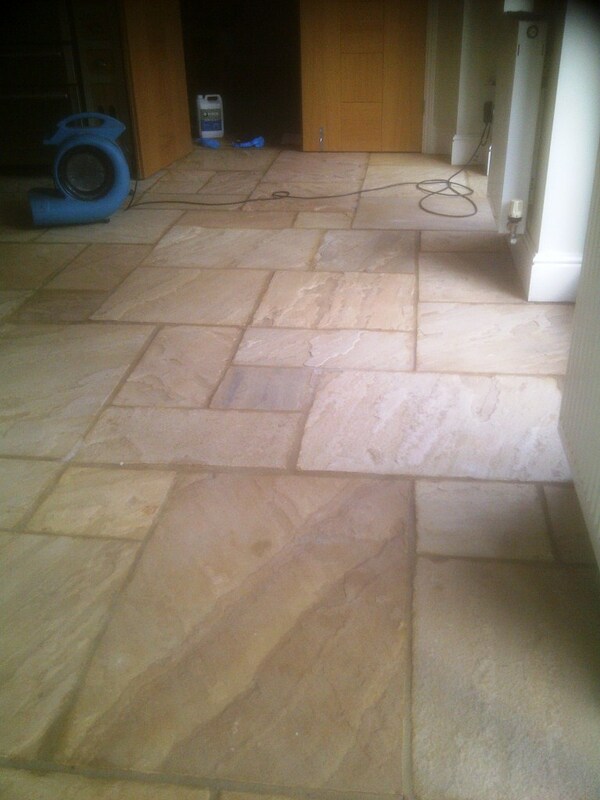 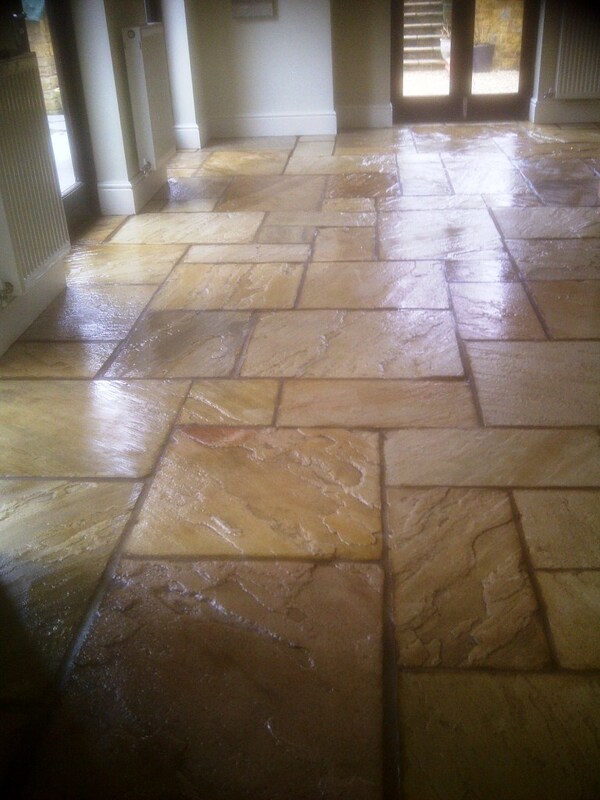 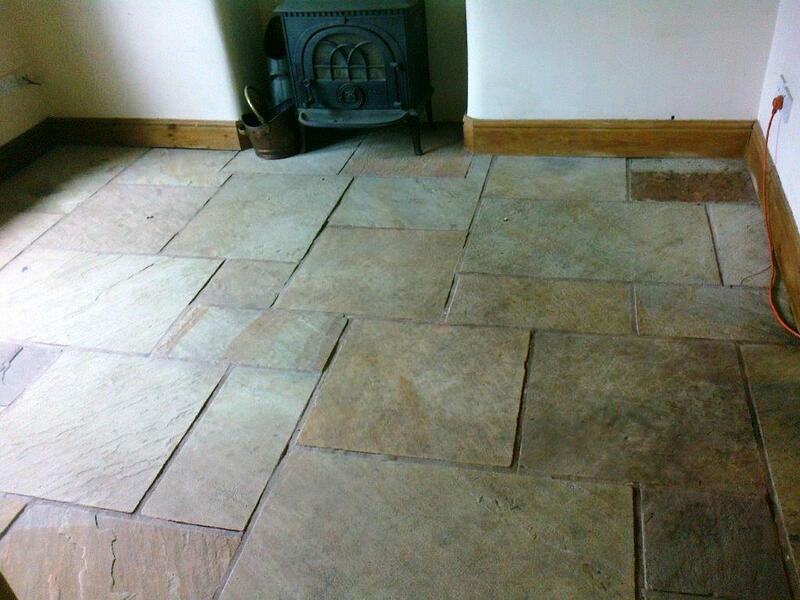 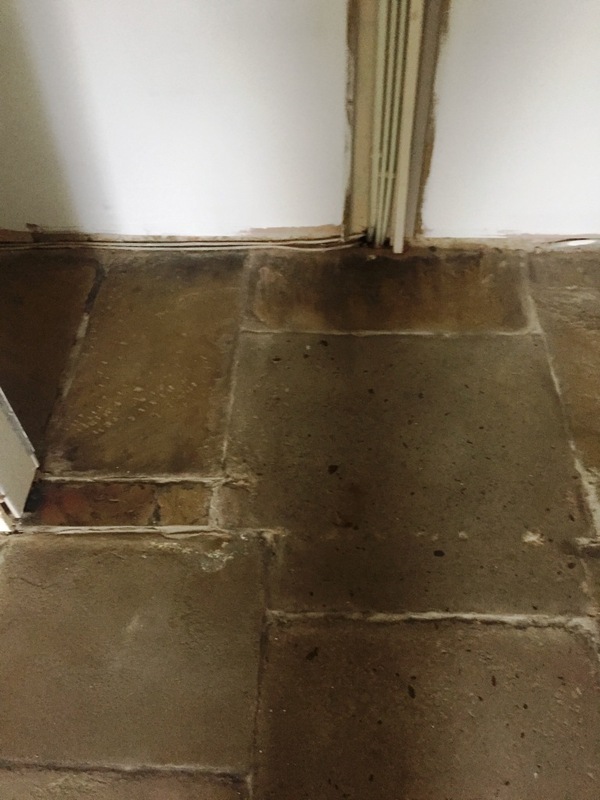 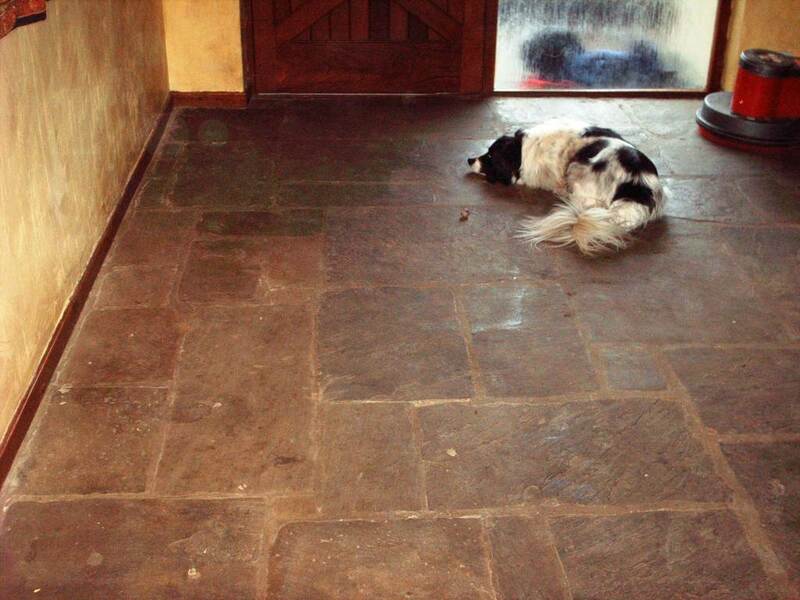 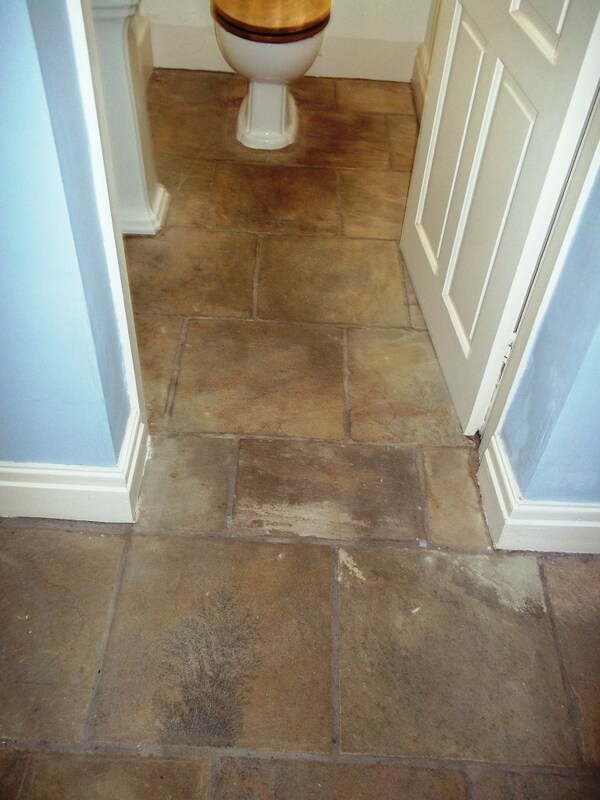 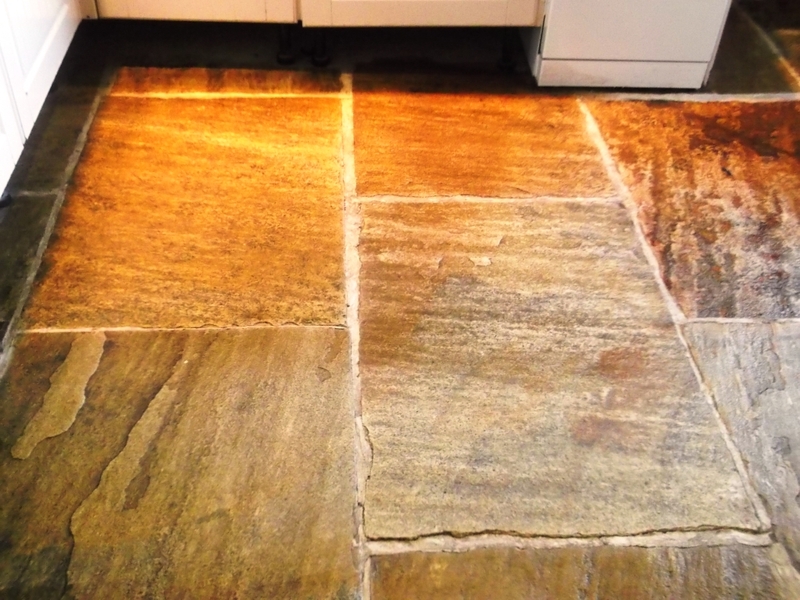 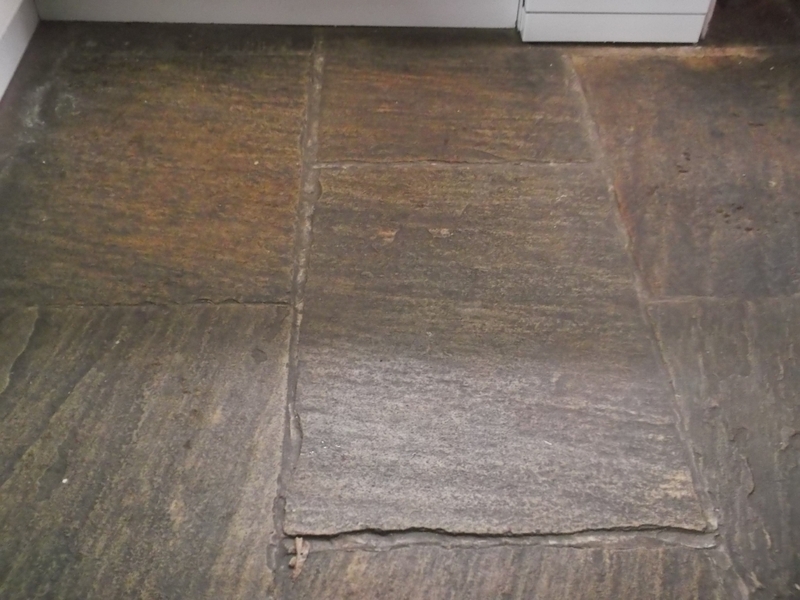 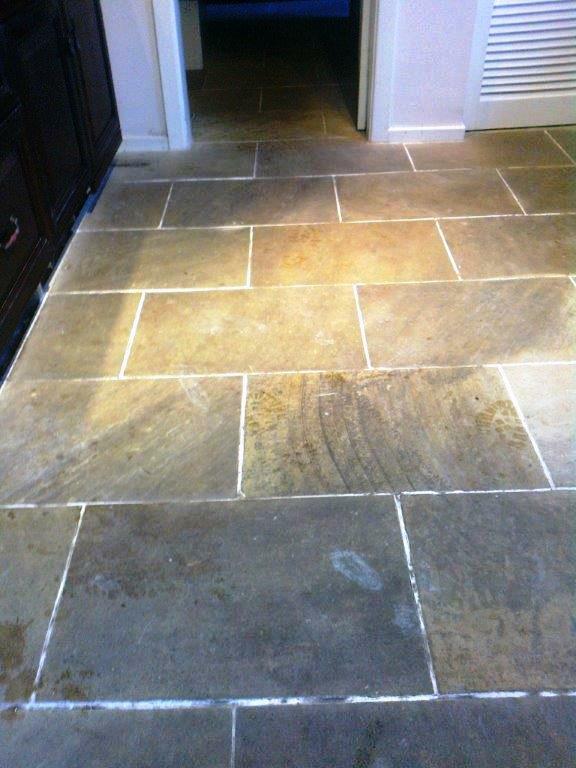 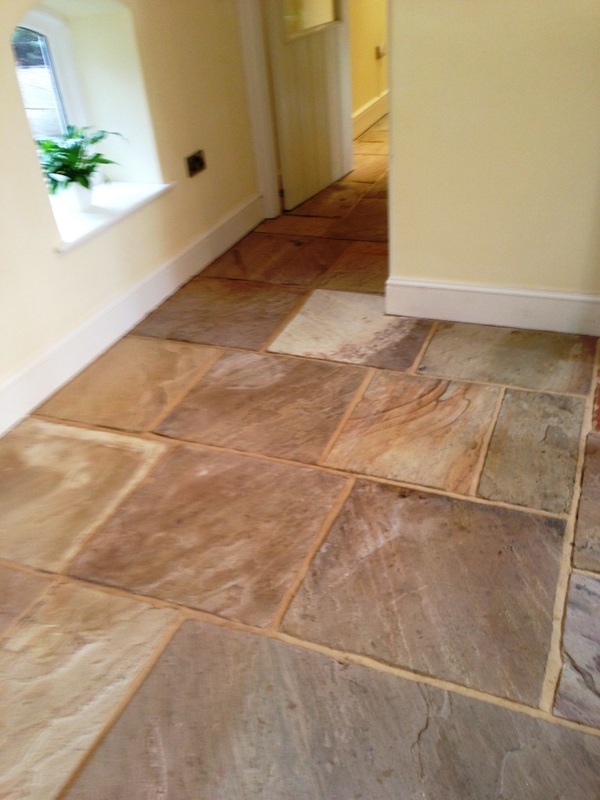 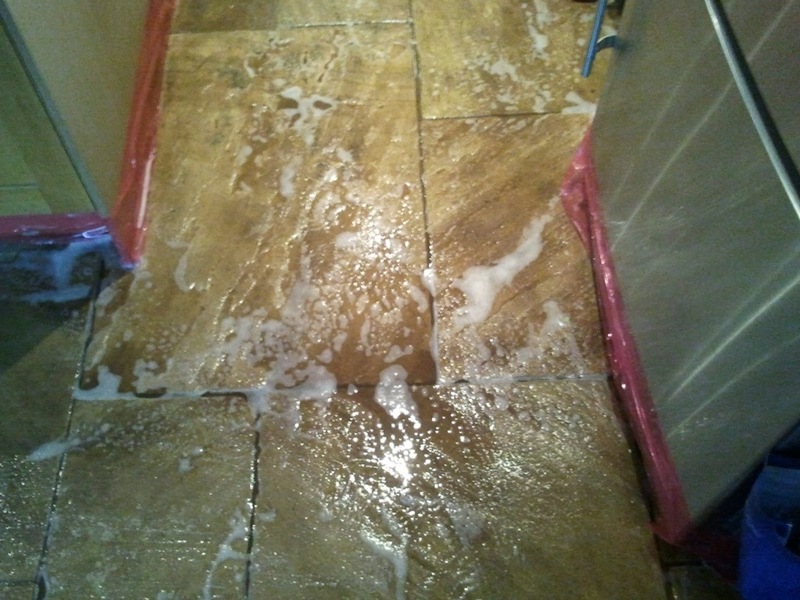 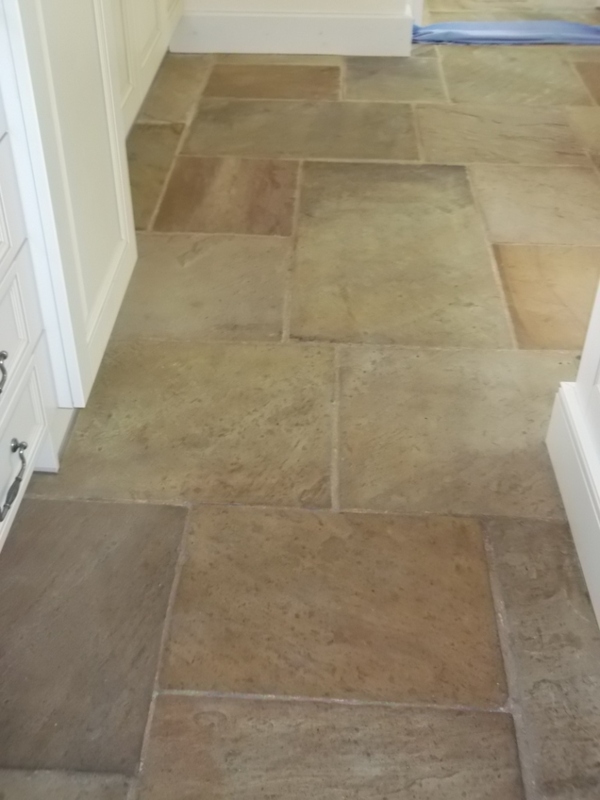 This Sandstone tiled floor was installed in a house in Loughborough; the existing sealer on the floor had been worn down over time and it was becoming difficult to clean so we were asked to give it thorough clean and re-seal. 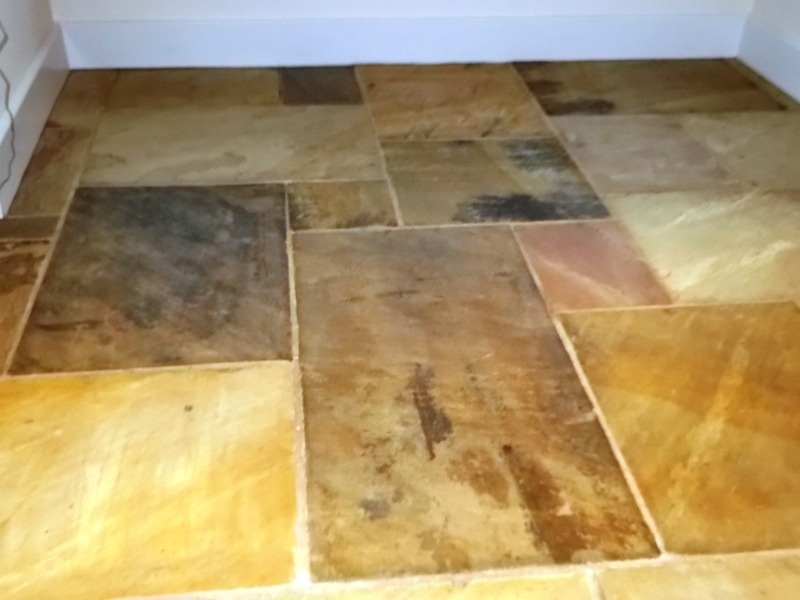 We cleaned the floor using a dilution of Tile Doctor Pro-Clean, Pro-Clean has an alkaline formula so it’s safe to use on natural stone as opposed to mildly acidic cleaning products that can eat away at protective coatings and even dissolve calcareous stone over time. 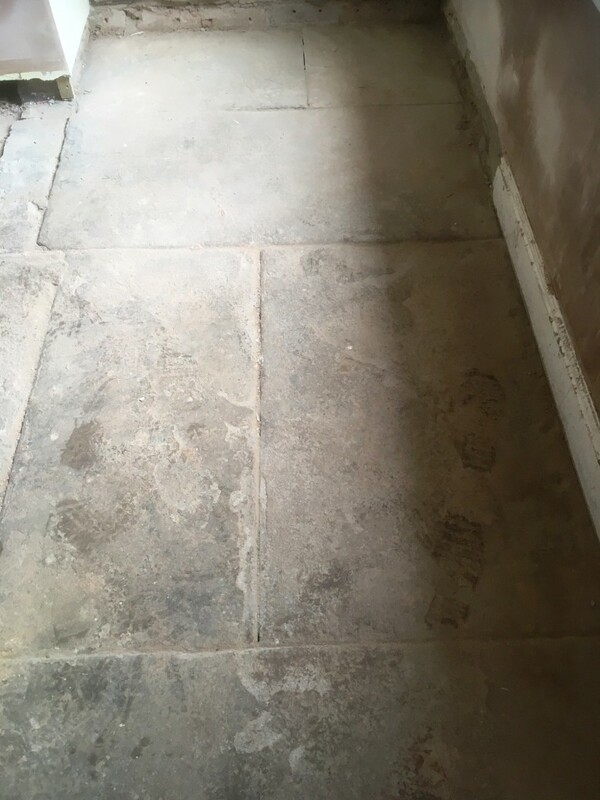 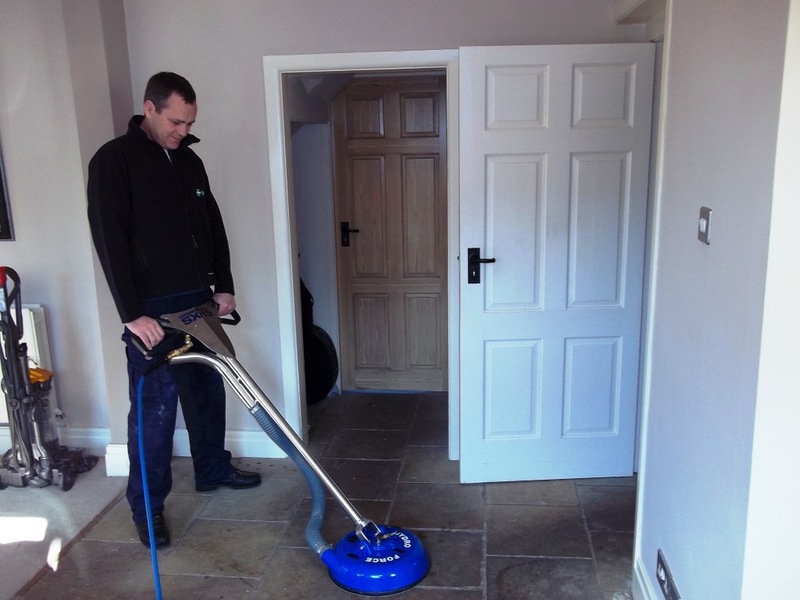 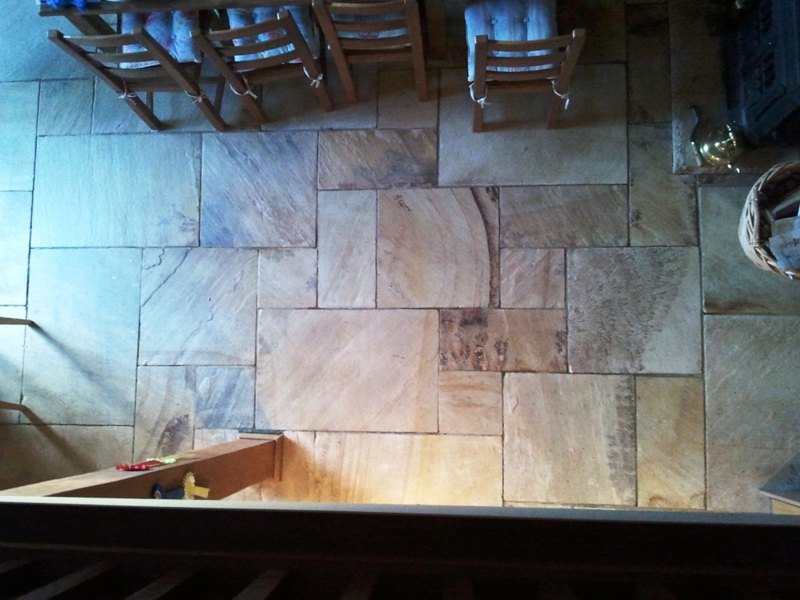 The solution was worked into the stone surface using a rotary machine fitted with a black scrubbing pad; we also used a stiff hand brush on the grout lines. 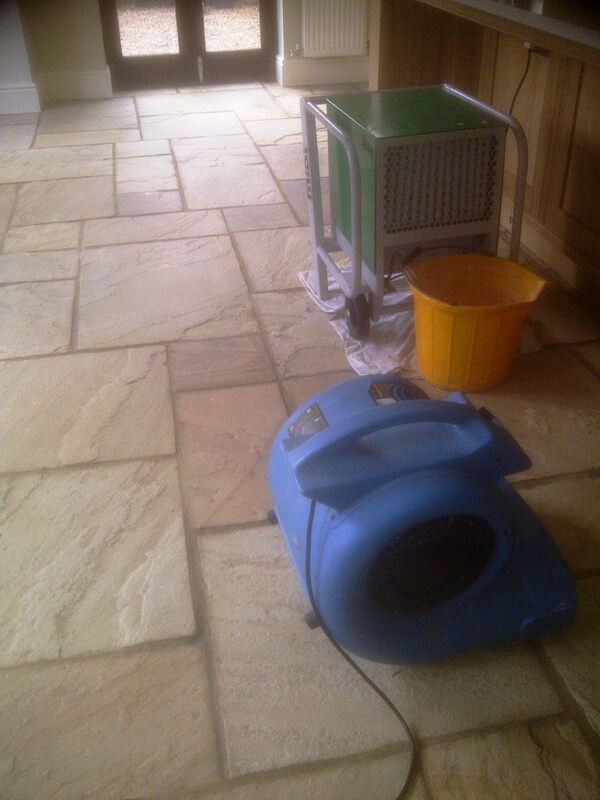 The soiled solution was rinsed off with clean water which was removed with a wet vacuum and left to dry. 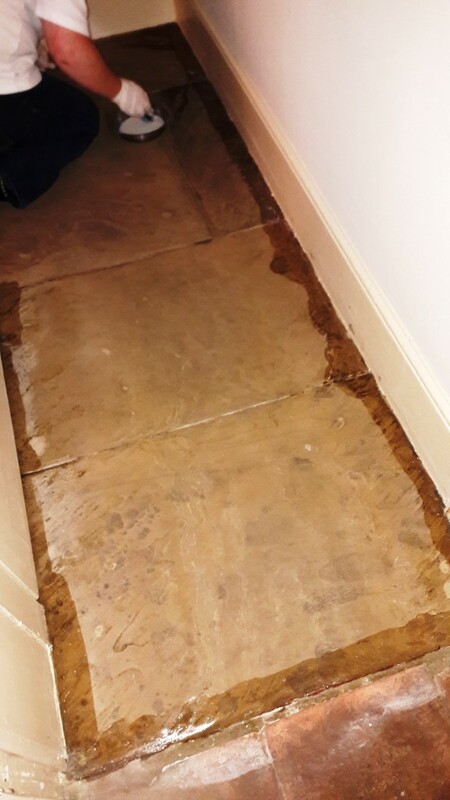 At this point we noticed there were a few spots that needed further attention so we repeated the process until we were happy and then left for the evening so the floor could fully dry overnight. 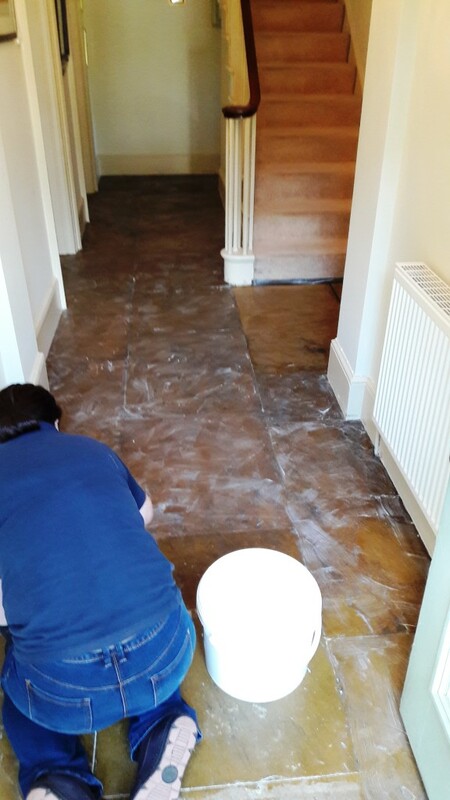 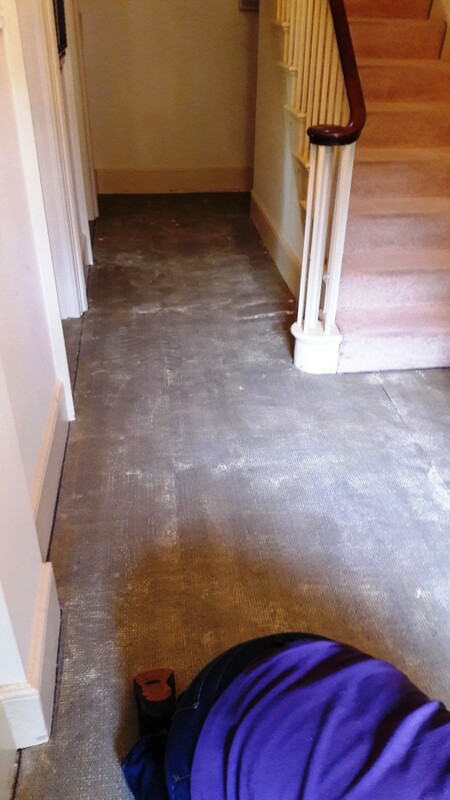 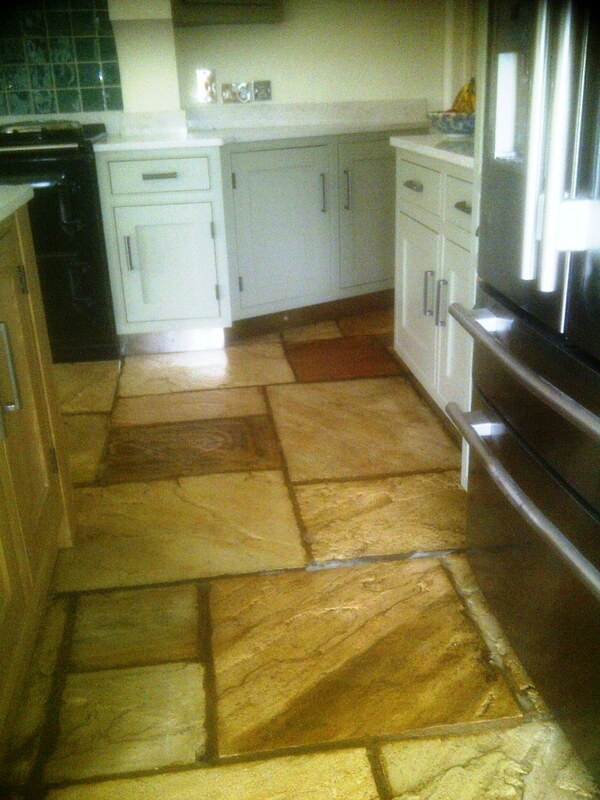 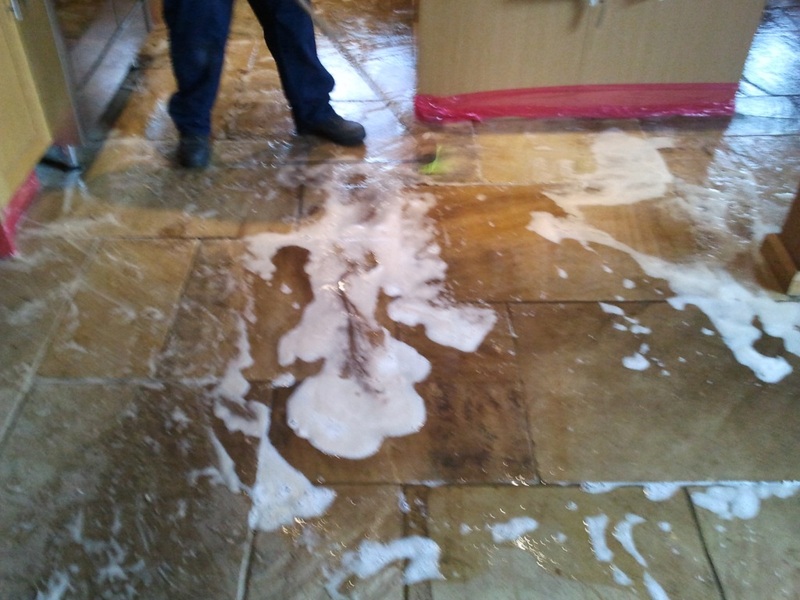 We came back the next day and after checking the floor was dry proceeded to apply the sealer. 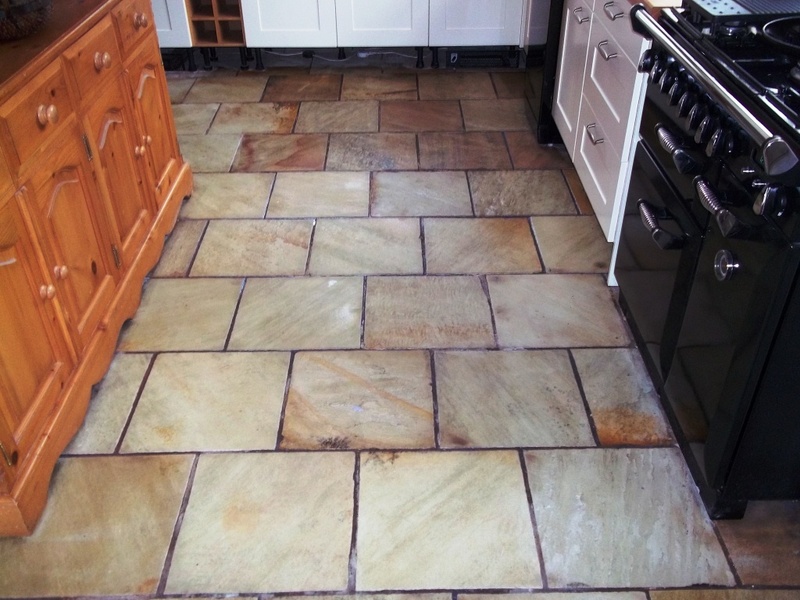 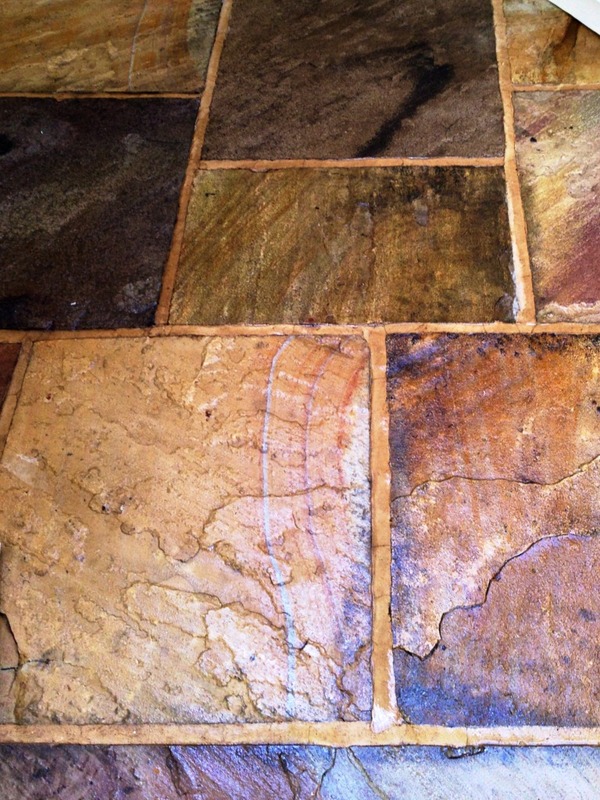 For Sandstone I prefer to use Tile Doctor Colour Grow, it’s an impregnating sealer that penetrates deep into the stone, enhances the natural colour in the stone and provides good surface protection. 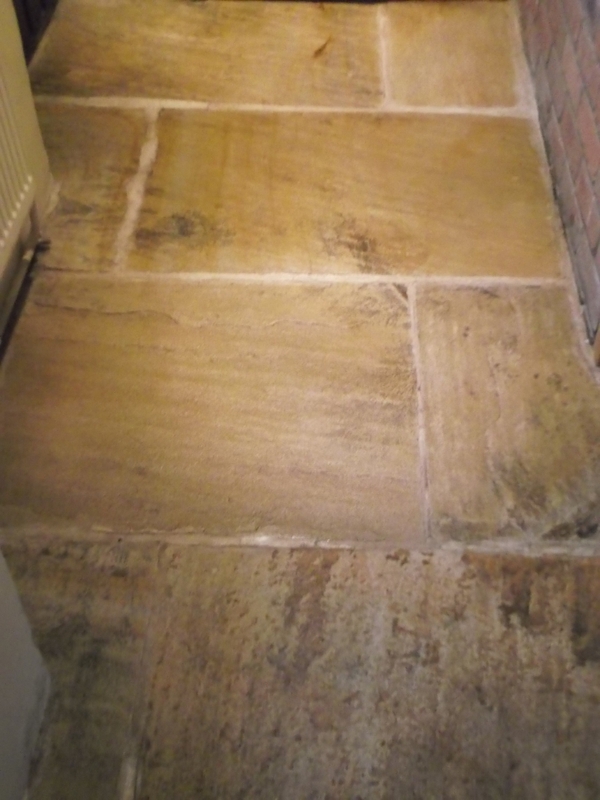 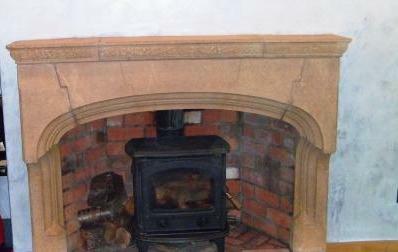 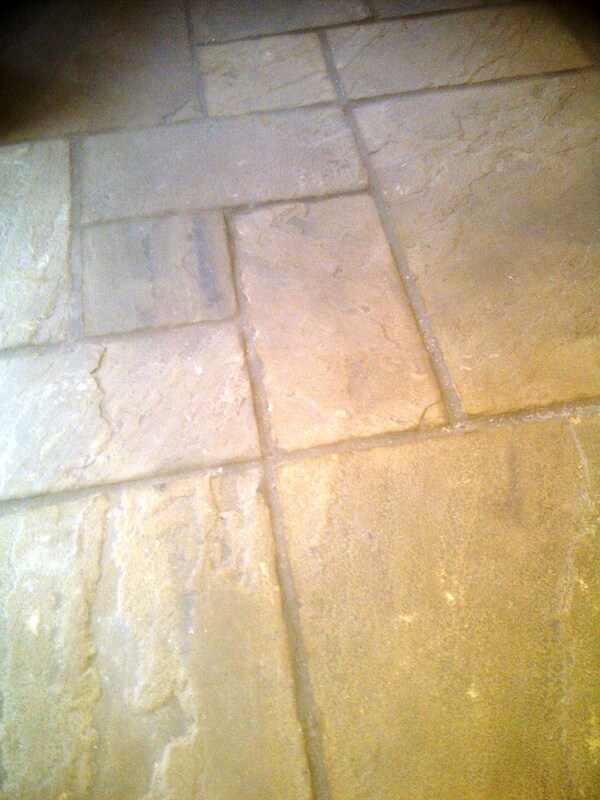 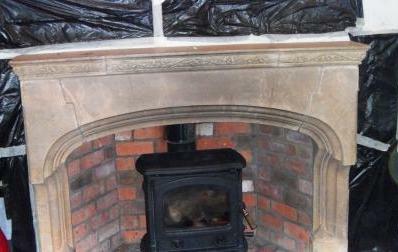 I think you will agree from the photograph below it has really improved the look of the Sandstone.